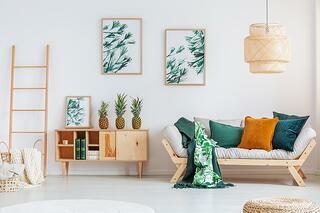 Want to bring your home into the 21st century? You’re in luck, because the contemporary home design has never been more timeless. 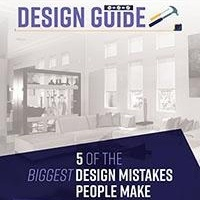 Whether your style is outdated, inconsistent or just doesn’t feel like you, the modern aesthetic is one of the simplest ways to revive it while leaving room for future design trends and personal touches. 21st century modern home design revolves around clean lines, natural textures and colors and neutral décor that’s warm and simple. 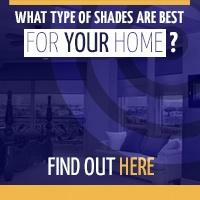 So, what does that mean for your home renovation? What color are your walls right now? A fresh coat of paint is one of the cheapest and easiest ways to transform the look of a whole room and is especially important if you want to go modern. Neutral, natural shades like white, gray, tan and brown are very on-trend and they provide the perfect backdrop for future décor and furniture changes. Leave room for textures and details, and let the walls blend into the background with classic, neutral shades of paint. What could be more 21st century than controlling the sunshine itself with the flip of a switch? Motorized window shades make it easy to modernize your home, both indoors and outdoors. 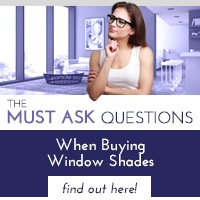 Tassels, lace and busy patterns ruin the modern aesthetic but crisp motorized window shades in neutral colors give windows a more modern, natural feel. Window shades also maximize the flow of natural lighting, allowing you to choose how much sunshine illuminates your modern space. Floor-to-ceiling drapery tracks create the illusion of even larger windows behind your shades. Antique furniture and décor is no longer limited to stuffy, ornate pieces that send you back a few centuries. A few pieces of furniture could come from the Art Deco era, for example, or straight out of a 1960’s living room. These design eras favored wood and clean, elegant lines, so it won’t date your space to bring back some old-school vibes. Just stay away from anything too flashy, vibrant or complicated because you want to tone down your décor instead of drawing all eyes to it. 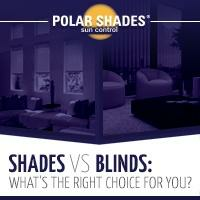 Contact Polar Shades at 877-260-6110 to learn more about our motorized window treatment options.